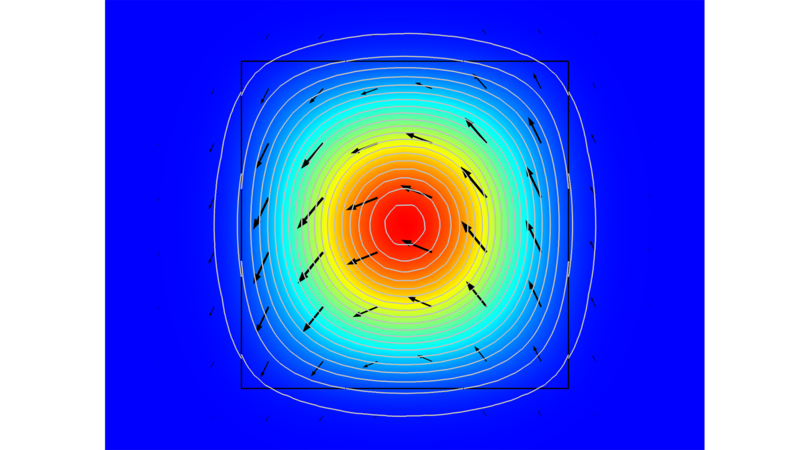 For users of the Wave Optics Module, COMSOL Multiphysics® version 5.4 brings additional boundary conditions for the Electromagnetic Waves, Beam Envelopes interface for modeling thin dielectric layers, antireflective coatings, and mirror-like surfaces. Browse all of the Wave Optics Module updates in more detail below. 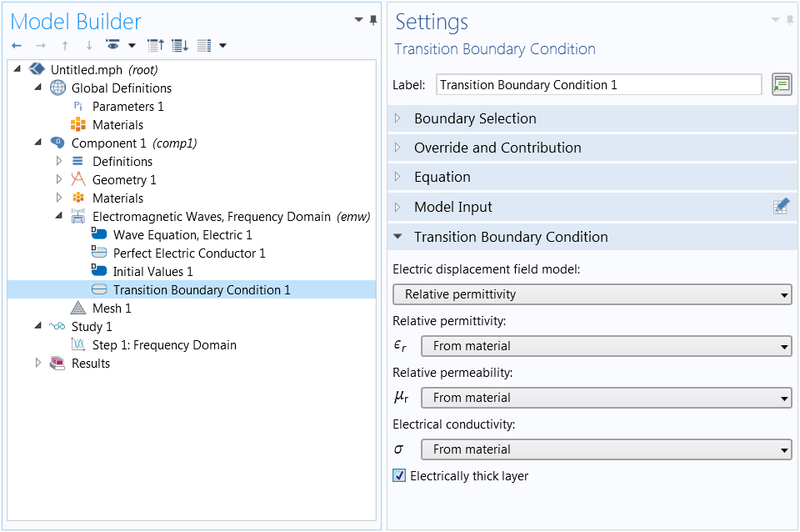 A new Transition Boundary Condition feature for the Electromagnetic Waves, Beam Envelopes interface allows for the modeling of electrically thin layers and eliminates the need for a domain mesh. There are two options to choose from for the propagation direction. The first is Normal direction (default), which is useful for modeling thin metallic layers in mirror surface applications. The second is From wave vector, which is useful for thin dielectric layers, such as antireflective coatings. You can find this functionality used in the Beam Splitter model. 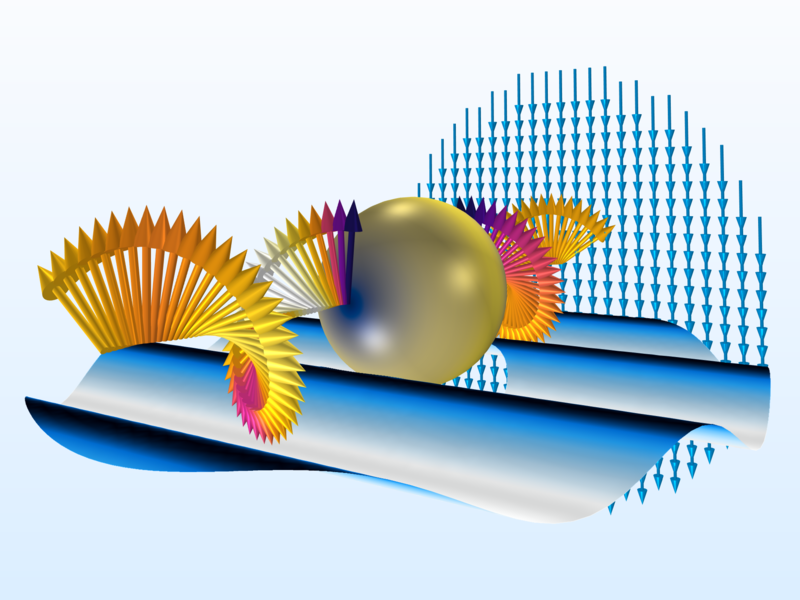 A Gaussian beam is incident from the left boundary, reflecting from, and transmitted through, a diagonal thin metallic layer, implemented using the new Transition Boundary Condition feature. The propagation direction is set to Normal direction. 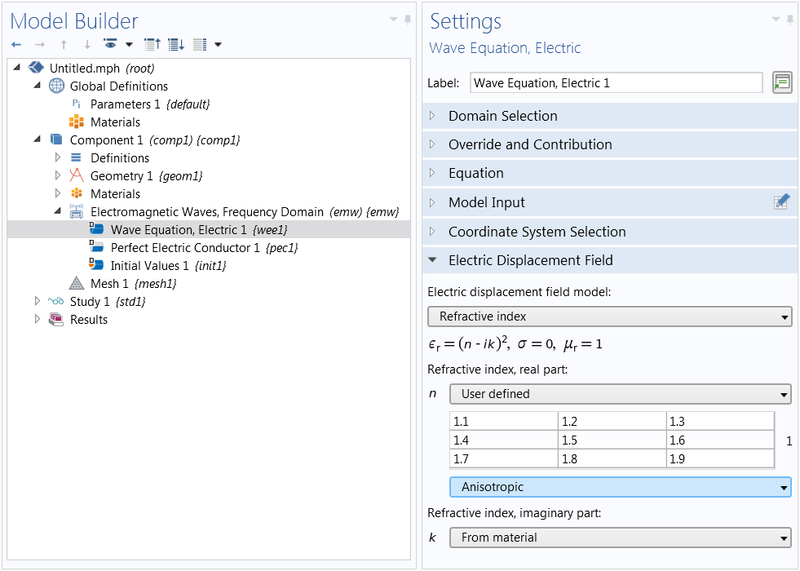 A new Impedance Boundary Condition feature for the Electromagnetic Waves, Beam Envelopes interface allows for truncation of the simulation domain at an interface between two different material domains. There are two options to choose from for the propagation direction. The first is Normal direction (default), which is useful for exterior highly conductive materials such as metals. The second is From wave vector, which is useful for exterior dielectric layers such as glass substrates. 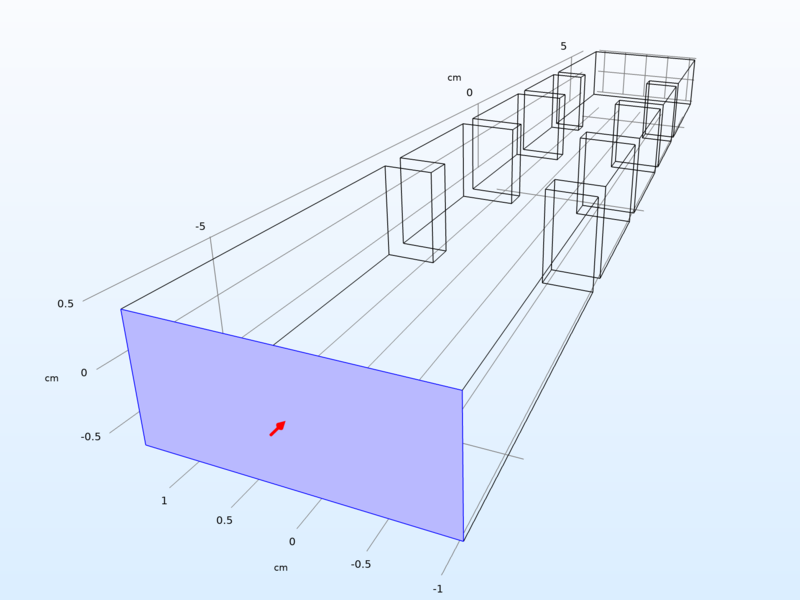 You can find this functionality used in the Fresnel Equations model. A plane wave is incident at an angle onto a glass substrate, reflecting at the boundary between the air and glass domains. 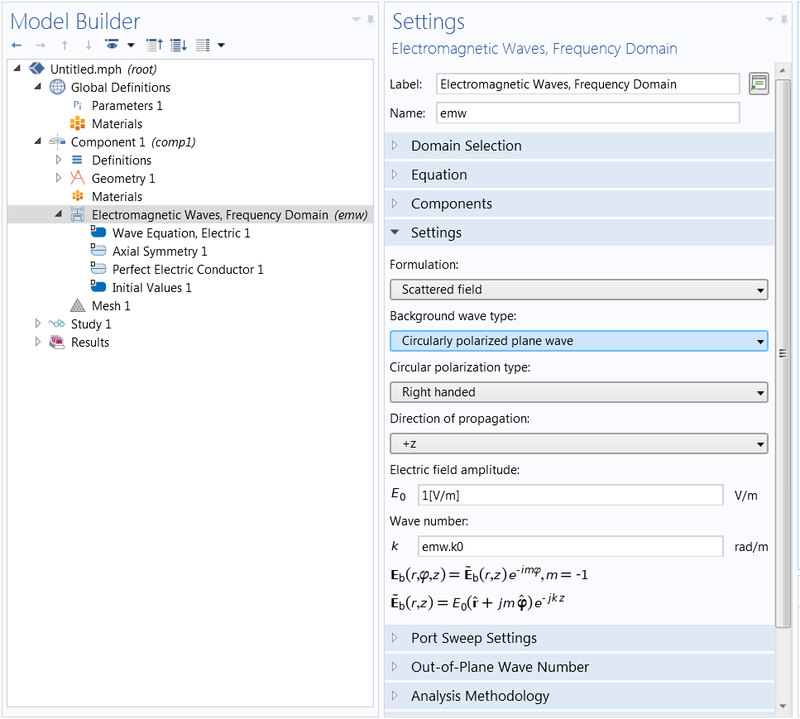 The glass domain is replaced by the Impedance Boundary Condition feature. The propagation direction is set to From wave vector. Slit Ports are now available for the Electromagnetic Waves, Beam Envelopes interface. 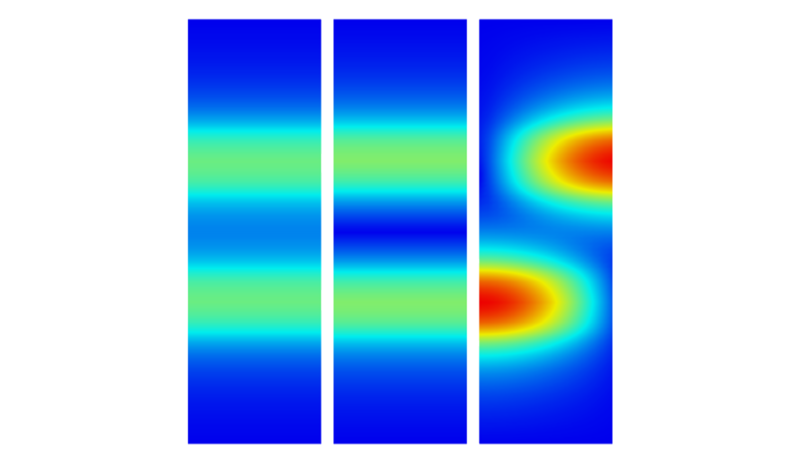 A slit port is used on an interior boundary for exciting the computational domain with an incident wave and, at the same time, absorbing scattered waves matching the set port mode field. There are two important use cases. The first is when a perfectly matched layer (PML) backs the slit port, absorbing the remaining part of the scattered radiation that was not absorbed by the port; this is known as a PML domain-backed slit port. The second is when there is a regular port at one side and a Perfect Electric Conductor (PEC) boundary condition at the other side; this is known as a PEC-backed slit port. PML-backed slit ports are useful when exciting a domain with a Gaussian beam, as the reflected Gaussian beam will not be perfectly absorbed by any port and instead a more general PML absorption method is needed. This is demonstrated and explained in the image and caption below. To implement this functionality, when the Port feature is applied to an interior boundary, you can click the Activate slit condition on interior port check box in the Settings window, as seen in the second image below. 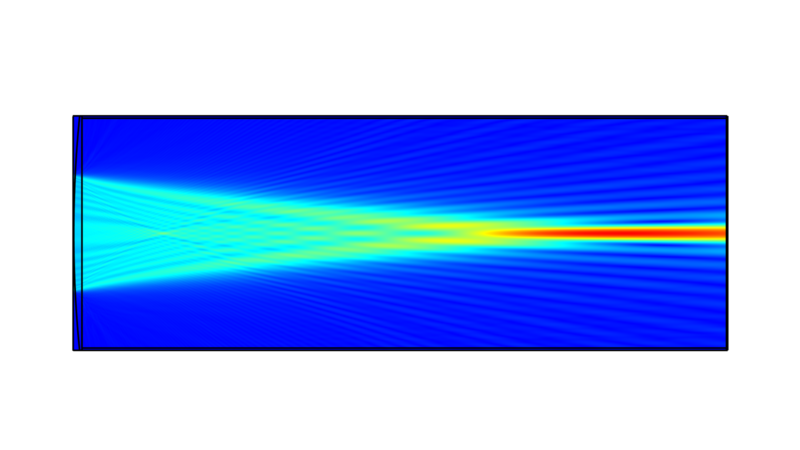 A PML domain-backed slit port is used on the left to excite a Gaussian beam. At the right, there is a listening PML domain-backed slit port. Most of the radiation is absorbed by the slit ports, with the remaining radiation absorbed by the PML. 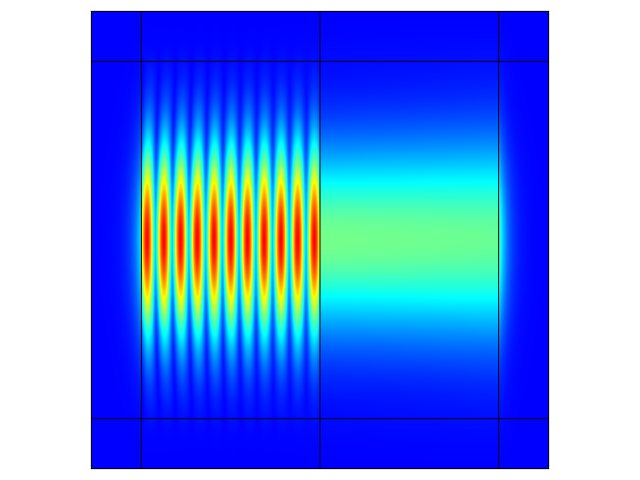 A PML domain-backed slit port is used on the left to excite a Gaussian beam. At the right, there is a listening PML domain-backed slit port. Most of the radiation is absorbed by the slit ports, with the remaining radiation absorbed by the PML. Perfect electric conductor (PEC), perfect magnetic conductor (PMC), and surface current density can now be applied to interior boundaries as well, when using the Electromagnetic Waves, Time Explicit interface. To improve legibility of the default black text appearing on parts of plots with lower numerical values, the default color table has been changed to RainbowLight. The left plot uses the RainbowLight color table, whereas the right plot uses the previous default, Rainbow color table. It is clear that the black text is more legible on top of the RainbowLight plot. The check box for Electrically thick layer activates the decoupling between two adjacent domains. 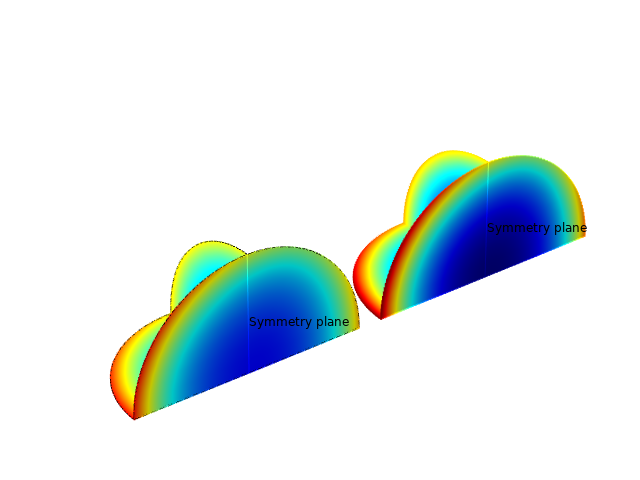 COMSOL Multiphysics® version 5.4 brings two new and one updated tutorial models. The lowest order mode in an anisotropic optical waveguide, where the optical axis points at a 45-degree angle from the direction of propagation. A plane wave is focused by a lens (in the left part of the domain) to a focal point in the right part of the domain. This updated model demonstrates the ability to solve for the amplitudes of two modes that have different propagation constants, but in the same direction, allowing for a very coarse mesh in the direction of propagation.